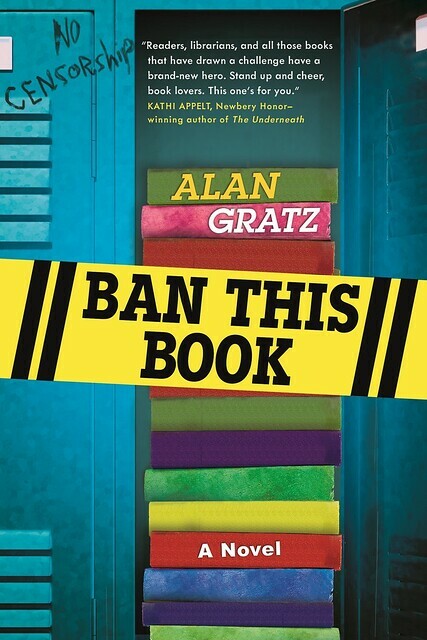 The real question to my mind is whether Alan Gratz’s new novel Ban This Book is itself ever banned. It’s possible! And would be recursive! And as Gratz explains below, it would mean his book would join a rather august list of books that have been banned. The link was shared everywhere. It was Tweeted and Facebooked and reposted. 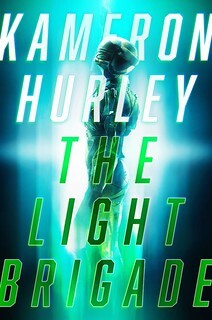 The story was picked up by Library Journal, and Goodreads, and Reddit. The girl and her banned book locker library were written about on educational review sites and librarian listservs and school blogs. Cory Doctorow even posted the forwarded story on BoingBoing, adding, “Give that kid a medal and a full-ride scholarship to the best library school in the country, please!” The post itself got more than a hundred responses (most of them offering earnest advice and plaudits,) and has been viewed hundreds of thousands of times. And the author of the post kept updating it with more lists of books that had been banned and added to her library. What? Not everything you read on the Internet is true? Gasp and clutch the pearls! Pretty quickly those skeptical fun killers among us proved the whole thing to be made up. But because nobody ever reads the comments, and because nothing ever dies on the Internet, the story keeps getting found, and shared, and linked to. I’m still surprised when I see it pop up in one of my feeds. Maybe you’ve seen it yourself. Just within the last year, a writer I admire retweeted the link with heaps of praise for the student. Like a lot of other people, I loved this story, and probably like a lot of those same people, I was bummed (but not entirely surprised) when I learned it was bogus. But unlike everybody else, I stole the idea and wrote a book about it. To write a book about book banning though, I was going to have to learn a lot more about, well, banning books. Not being in favor of banning books, I’d never tried to do it myself, and I’d never taught at a school or been at a school as a student or parent when a challenge happened. And none of the books I’ve written has ever been banned. At least, not that I know of. That’s one thing I learned as I began my research—that many book challenges and removals are never reported or contested. Very quietly, a book just disappears from the shelf. I also wanted to know what kind of books got challenged and banned. I knew the famous ones—books like Huckleberry Finn (first banned in 1885, the year after it was published, for being “absolutely immoral” and using “bad grammar and inelegant expressions,” to more recent challenges over the N-word), and the Harry Potter series (witchcraft!). But what else got challenged, and why? For answers, I turned to the American Library Association, who are all over this like evolution disclaimers on Alabama textbooks. Each year, the ALA investigates every public challenge in America, and every few years they publish a book listing every challenge ever recorded. It’s a big book. The challenged books are as varied as the reasons for challenging them are ridiculous. Among children’s books, The Stupids Step Out was challenged for encouraging children to disobey their parents. In My Teacher is an Alien, challengers took issue with the main character handling problems on her own instead of relying on the help of others. Harriet the Spy supposedly taught children to “lie, spy, back-talk, and curse.” Ewoks Join the Fight was challenged because (spoiler alert!) the Death Star is destroyed. And my favorite: The Lorax “criminalizes the foresting industry.” These were all real challenges. Well, I changed pretty much everything except the part about hiding banned books in a locker and checking them out in secret to other kids. After all, why let the truth get in the way of a good story? I’m down with this, sounds like a cool idea! It reminds me of the late Abbie Hoffman’s STEAL THIS BOOK. As a kidlit author I think your choice of a fourth grade protagonist is perfect. Just the age to really put independant ideas into action and when exploring the world is taking in wider horizons. Oh, and my favorite banned book? In the Night Kitchen by Maurice Sendak, banned some places because one illustration shows the outline of the little boy’s wee. Oh yes! Even a toddler boy wee is too much reality for some ;) I can imagine breast feeding must drive them over the edge. Good luck on your book and I look forward to reading it. Coincidentally, I ran across this book yesterday in a random walk through Amazon. It sounded cool, so I read it. It was, indeed, cool. Just added this to our “Holds” list at the local library branch. I generally prefer nonfiction to fiction, but this (sadly) sounds enough like nonfiction/current events that I am eager to give it a read. 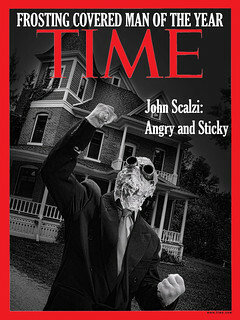 This looks like an interesting book, and I’m going to get ahold of a copy. My favorite book challenge story is the folks in Wisconsin who think the library that put Francesca Lia Block’s Weetzie Bat into a display were committing a hate crime. They sued in an unsuccessful attempt to have the book removed from the collection and turned over to them so they could publically burn it. My proudest moment as a librarian was the time a patron complained about my annual banned books display and demanded that some of the books be removed. Peter, when I worked in a bookstore in the 1990s, a customer had a hissy fit about our “read a banned book display.” She informed us she was active banning books she didn’t want her kids to leave and that we’d just lost her business forever (“I spend $60 a year in this store!”). But um. “And instead of going to a Catholic school where, let’s face it, they can tell you what you can and can’t read because it’s a private school and if you don’t like it you can just stop paying them money and go somewhere else” – I don’t think it works like this. For starters, a kid put into a Catholic school might not have much say about where they go to school. And I would think the basic freedom to read whatever you want would go further than a private school’s right to make their own rules. I mean, yes, they can decide not to keep some books in their library, but they shouldn’t have any right to keep their students from reading something. Agree with Janne. No, not even a private school should try to ban its pupils from reading certain books. What a ridiculous suggestion. The school can control what’s in the school library and what books the pupils have to write about in class, obviously, but they shouldn’t be trying to dictate what the kids do the rest of the time. Of course, it being a religious school, they probably will, but they shouldn’t. Even the Vatican doesn’t maintain an Index Librorum Prohibitorum any more.